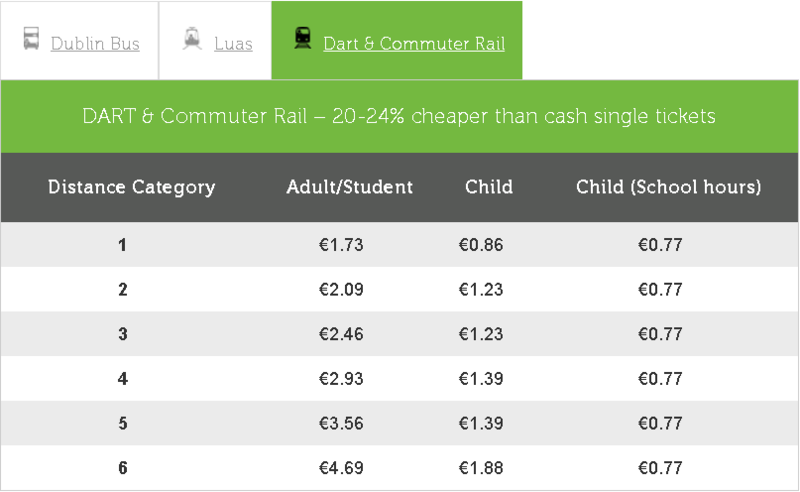 Leap MapLeap Card is a convenient way to pay for public transport services in Dublin, Cork, Galway, Limerick, Waterford and Wexford. It saves you carrying change and Leap Card fares are usually 20% cheaper than cash single tickets! 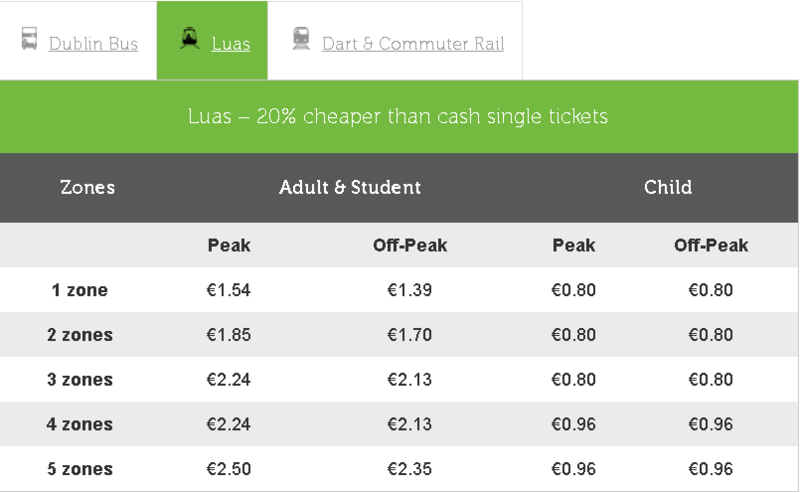 Leap Card users in the Dublin area also benefit from smart discount features such as Capping and the Leap 90 Discount. Using your Leap Card is easy. Simply buy your card, Top-Up with Travel Credit or a period ticket and away you go! 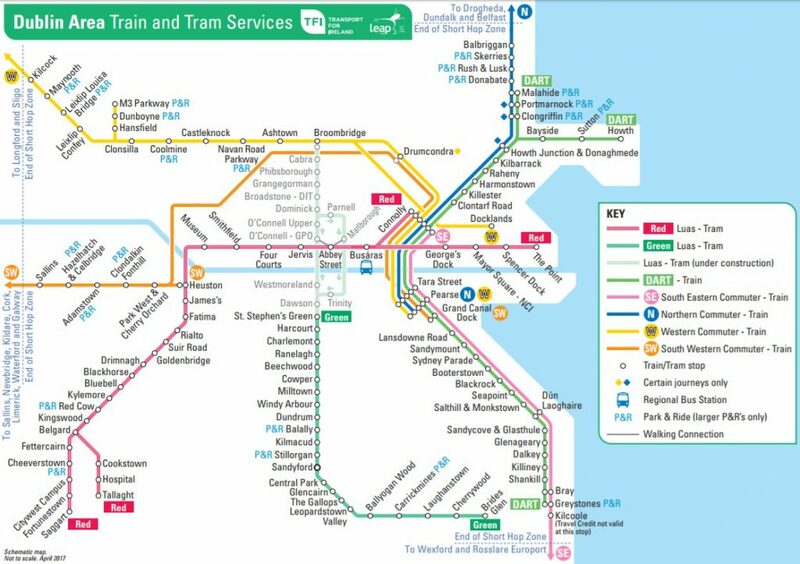 See map for regions where Leap Card can be used. A range of Apps to assist you with topping up, plan your next trip, or find out the time of that next bus! Extra Discounts: You can also benefit from Leap Card Capping and Leap 90 Discounts when using Travel Credit to pay for your trips. These discounts are applied automatically, so all you need to do is use your Leap Card as normal. 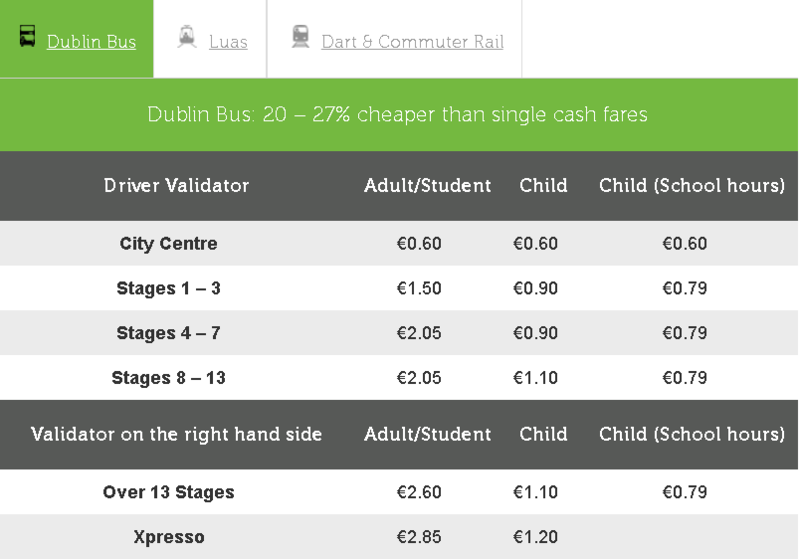 Leap Card Tickets: Dublin Bus Rambler tickets can now be loaded onto your Leap Card in any Leap Card outlet. Leap Card Travel Credit fares are generally 20% cheaper than cash single tickets. Just Top-Up your card with Travel Credit and pay-as-you-go.